Hamilton Ontario Bioidentical Hormones Specialist, Kristina Janicas, N.P. is a licensed nurse practitioner specializing in anti-aging, regenerative and functional medicine. Kristina uses an integrative, evidence-based multifaceted approach (physical, psychosocial, genetic, environmental, diagnostic and alternative testing) to identify the root causes of chronic conditions with a focus on prevention and treatment. Kristina has a thorough understanding of chronic disease prevention and management, hormone replacement therapy and sexual health treatments. Learn more about Kristina Janicas' training, experience and integrative approach to health and wellness. Learn more about the anti-aging and age management services offered at Integrative Functional Medicine. Schedule your bioidentical hormone consultation today and take the first steps to optimal health. Call Hamilton Ontario Bioidentical Hormones Provider, Kristina Janicas, N.P. at 800-775-4902 Ext. 404 to schedule your Bioidentical Hormone consultation. Hamilton Ontario Bioidentical Hormones Specialist Kristina Janicas, N.P. of Integrated Functional Medicine, uses advanced anti-aging protocols, such as Bioidentical Hormone Replacement Therapy to increase vitality and improve the overall quality of life. Kristina Janicas, N.P. endeavors to listen to patient’s needs and concerns, while really taking the time to evaluate lifestyle factors, social habits, stress levels, environmental factors, and hormonal balance. After taking all of a patient’s history and current health factors into consideration Kristina Janicas, N.P., will develop a customized treatment plan to suit the individual. At the Hamilton Ontario Bioidentical Hormone based clinic, patients can feel confident that they will receive comprehensive care in a warm and caring environment, and Kristina Janicas, N.P., will use only the most effective treatment protocols to help patients recover their health and wellness. Kristina Janicas, N.P. uses bioidentical hormone replacement therapy to prevent the effects of aging and age related diseases, while improving overall health and wellness. 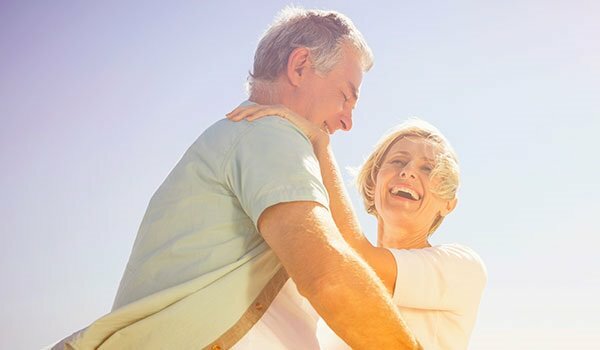 Bioidentical hormone replacement therapy has changed the way that men and women age, and it is an evidence-based regenerative and preventative medicine. Because hormones control and regulate several bodily functions, a loss of vital hormones can lead to several age related diseases, which may include hypertension, diabetes, high triglycerides, heart disease, sexual dysfunction, thyroid imbalances, uterine fibroids, prostate enlargement, and endometriosis. Regulating vital hormones can help men and women to prevent these diseases and reverse other age related symptoms that often accompany male and female hormone decline. Bioidentical hormone replacement therapy has been able to help men and women regenerate youthfulness and recover their vitality. Integrated Functional Medicine offers clients an individualized plan of care. The initial assessment of the patient’s health and medical history is completed upon intake with our nurse practitioner who will address the patient’s concerns in developing an informed plan of action. A comprehensive review of one’s hormonal imbalances, nutrient depletion and psychological health is examined. Cognitive behavior therapy and dialectical behavior therapy can be an adjunct to the treatment of problematic health concerns by the nurse practitioner. Lifestyle management is essential to ensure that the patient is successful with the proposed treatment. Specialized options offered include medications, compounded pharmaceuticals and/ or natural creams, nutrient treatments and behavioral therapy. In addition, our nurse practitioner collaborates with the patient’s physician(s) and/or health care practitioners, i.e. Naturopathic doctor, physiotherapists to ensure appropriate patient management. Call Hamilton Ontario Bioidentical Hormones Specialist, Kristina Janicas, N.P. at Integrated Functional Medicine, directly at 800-775-4902 Ext. 404 to schedule your consultation, discuss your symptoms and decide on a course of treatment for your specific needs. © 2009-2019 Hamilton Ontario Bioidentical Hormones Specialist. All Rights Reserved.